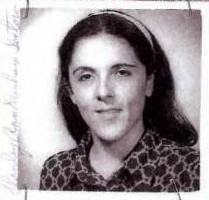 Responding to a Freedom of Information Act request, the State Department has released passport records of Stanley Ann Dunham, President Obama's mother – but records for the years surrounding Obama's 1961 birth are missing. The State Department claims a 1980s General Services Administration directive resulted in the destruction of many passport applications and other "non-vital" passport records, including Dunham's 1965 passport application and any other passports she may have applied for or held prior to 1965. Destroyed, then, would also be any records shedding light on whether Dunham did or did not travel out of the country around the time of Barack Obama's birth. The claim made in the FOIA response letter that many passport records were destroyed during the 1980s comes despite a statement on the State Department website that Passport Services maintains U.S. passport records for passports issued from 1925 to the present.